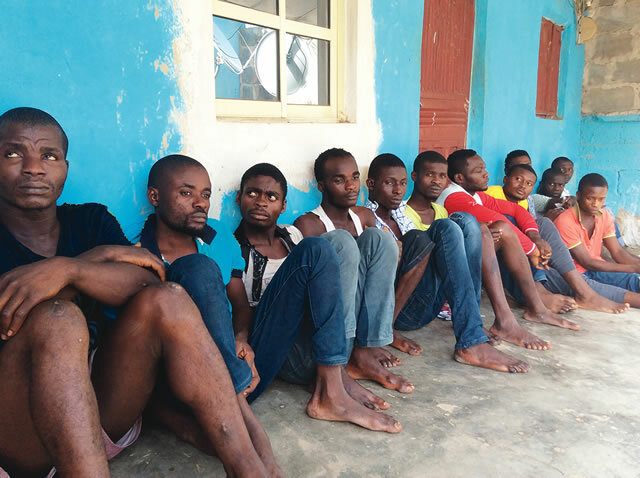 The police in Abuja have arrested 12 suspected members of a cult, Norsemen, who have been allegedly terrorising residents of Apo District, Abuja. Items recovered from the men, who were detained at the Special Anti-Robbery Squad, include a locally-fabricated rifle, three cutlasses and a knife. The suspects told Punch Metro on Wednesday that they were members of Norsemen, with each of them giving different reasons for joining the group. A suspect, Fidelis Ogabor, said he was compelled to join the group as a precondition for a N200,000 business loan he needed to set up a hair salon. He stated that he lost his job as a supervisor in a factory and approached one William for assistance, but the latter insisted that he would help him only if he became a member of Norsemen. Ogabor explained that William gave him the loan after joining the group, but noted that the cult kingpin mobilised some members to beat him up over his inability to settle the outstanding balance of N177,000. He said, “William lent me the money after I joined Norsemen. I have paid him N23,000, but he kept pestering me for the balance because some of the people working for me told him that I had money and did not want to pay him. A laundryman, Kenneth Edmond, said the rifle was found in his house, but denied that it belonged to him. He explained that the weapon was given to him for safekeeping by another cult member, identified as Bullion. “Bullion came to my house and as we were chatting, his girlfriend called him on the telephone. So, he asked me to keep the gun for him because he was afraid that he may run into policemen. I hid the gun somewhere in the house, but the police searched my house the next morning and discovered the gun,” he said. Ikechukwu Ugwu, who operated a drinking joint, explained that he was forced to join the cult on account of the members’ constant harassment and extortion. The FCT Police Public Relations Officer, Anjuguri Manzah, stated that since the arrest of the cultists, residents of Apo District now felt safe and secure, adding that detectives were on the trail of William and Bullion.